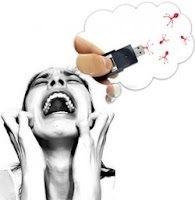 To tell about this virus, it converts all the folders present in a USB Flash Drive into '.lnk' file thus making it unusable though it contains files and occupies memory. Installing an antivirus program and updating it periodically is best advised to be away from viruses forever. However, if the Tip 2 is not possible, be aware that you turn off 'Autoplay' options for USB Drives. Next caution is not to install any unknown .exe files (that seems to be a virus) that are present in your USB Drive to ensure that a virus doesn't affect your PC. (This happens mostly in a haste as most of the viruses takes the name of the existing folders). Go to search box, select the drive location of your USB Drive. This command will list out each and every file present in your USB Drive. The logic behind this is, the shortcut virus converts only the folders into .lnk files. Hence, individual files are left unaffected. Copy those files into your Local Drive and then Format your USB Drive. Thus you retrieve files from it cautiously without letting the virus infect your system.